feel we have with HighNet	"
By choosing HighNet as your business telecoms provider, you can be certain that any technical complexity is taken care of by our highly-skilled staff, and that the services you need will be delivered when and where you need them. We work hard to make sure that the best of modern telecoms services will work perfectly for your business, and will do so seamlessly and easily. 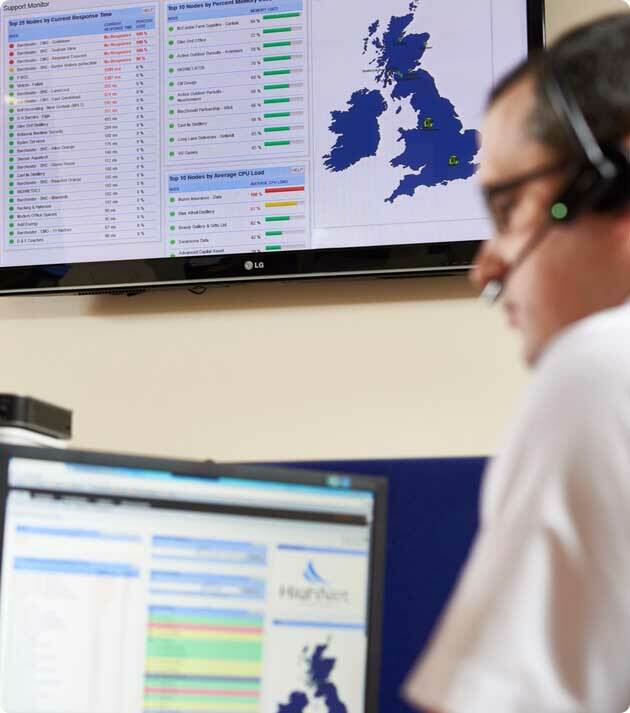 We operate our own ISP network so that we can provide end-to-end management of your connectivity with 24/7 UK-based support, and we can provide voice and internet services which are highly resilient and designed specifically to meet your requirements. Our multi-million-pound infrastructure is there to ensure that quality and reliability are second to none. We work closely with our channel partners to build long-term, mutually-beneficial relationships. Together we can offer our customers seamless and efficient IT and telecoms solutions delivered with a real clarity and purpose – to remove unnecessary complexity and provide a Plain Sailing experience. Plain Sailing means making progress, so as our customers look for improvements in business processes and productivity, we’re there all the way to provide advice and support. This means that moving offices, adding new premises, upgrading business applications, and introducing flexible or mobile working, are all made that little bit easier by working with HighNet. Individual excellence and attention to detail are key to delivering a best in class service. Achieving and sustaining high-quality service delivery needs excellent training and leadership. Above all, it requires a positive attitude, willingness to learn and determination to succeed. These are the foundations on which HighNet’s service is built. Embracing Innovation ensures that our customers can stay ahead of their competitors. Potential new services are tested, understood and introduced optimally, and thinking outside the box to provide the best solution that meets every customer’s unique requirements is business as usual for HighNet. Close collaboration brings a fluidity to internal processes and communication that is reflected directly in faster order progression and clearer communication to customers. This should be normal for any business, but many large telecoms companies seem unable to overcome the stovepipes of outdated processes. Working together as one team to provide the best solutions in the simplest manner makes all the difference to a Plain Sailing experience. Passing the buck or sloping shoulders never delivers a successful outcome but providing staff with the right skills and empowering them to use their knowledge and experience can make things happen and takes problems through to a successful resolution. Continuous improvement from start to finish takes determination. So too does dealing with complex projects and multiple suppliers. Making our customers’ requirements come alive, whatever challenges arise, drives our determination to succeed. Highland Network Ltd is founded. BT Monopoly broken by legislation for the first time. 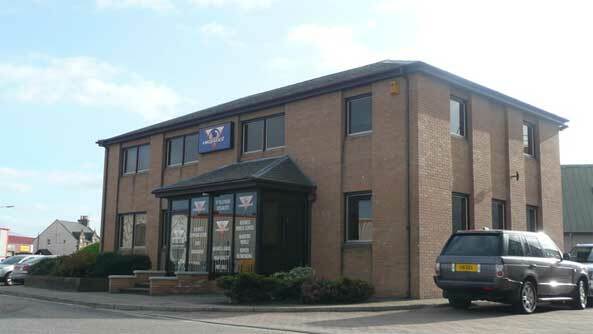 Vigorous expansion throughout the Highlands, Grampian and across Scotland results in the need to move to bigger premises in Lotland Street, Inverness. Highland Network Ltd is rebranded as HighNet. This is done to reflect the substantial growth from a local to a national company. HighNet completes the purchase of its own billing platform. Allows greater flexibility for clients, permits HighNet to produce new and creative pricing structures, and provides greater cost savings to their clients. Winner of the Business AM Gazelle Award for the fastest growing Highland Business of the Year. Product range is increased to provide VoIP. BT launches WLR3. HighNet is the first provider of this in Scotland and second in the whole of the UK. HighNet is awarded Gamma Platinum Partner accreditation. First time this Platinum status has been awarded by this market leading supplier. Introduction of new CRM software aligns sales and service goals within HighNet. Allows best practices to be implemented across the company. HighNet mobile is launched. HighNet is the only telecoms provider to offer complete contract flexibility in moving between the two biggest mobile networks in the UK. Due to the expanding business, HighNet moves into larger premises, its current home at Cradlehall Business Park. HighNet become a fully-fledged ISP. Utilising data centres in Inverness, Aberdeen, Edinburgh, Glasgow, Manchester and London. HighNet provides a fully resilient and expandable service. HighNet’s 20th Anniversary year, firmly established as experts in innovative telecommunication products and services. Managing over 17,000 business lines and billing for over 70 million minutes per year. Truly a national company now, with customers across the length and breadth of the UK. Gigabit Glasgow. HighNet become the anchor partner in the roll out of CityFibre across Glasgow, providing Gigabit connectivity at the heart of Scotland’s second city. Highland Business of the Year. Expanding portfolio see HighNet open its first office outside Inverness. The Glasgow office which occupies a prime location in the heart of Glasgow’s business quarter sees more staff brought on board to support the City Fibre project and take advantage of other opportunities in the city. HighNet introduce DDoS protection on all connectivity products. Our clients can now be assured that they will receive top class protection from this danger on the Internet. Awarded FCS Mark of Excellence for Regulatory Compliance.